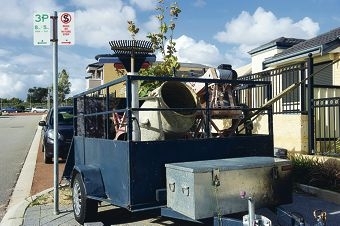 Roselyn Keen said her partner Gary Oakes parked his work trailer on the verge of their corner block, where they have lived for five years, but have received fines totalling $200 since the City of Wanneroo tightened restrictions in mid-2012. Ms Keen said they would welcome permits so they could park at the front of their house, particularly because brick paving was Mr Oakes’ only source of income. Last month, Wanneroo City Council approved a motion by Councillor Ian Goodenough to investigate a permit system after residents and businesses complained about the three-hour parking limit.